The question of to what degree algorithms are tools, as opposed to active collaborators, is a very interesting debate in which the artists can contribute interesting reflections. 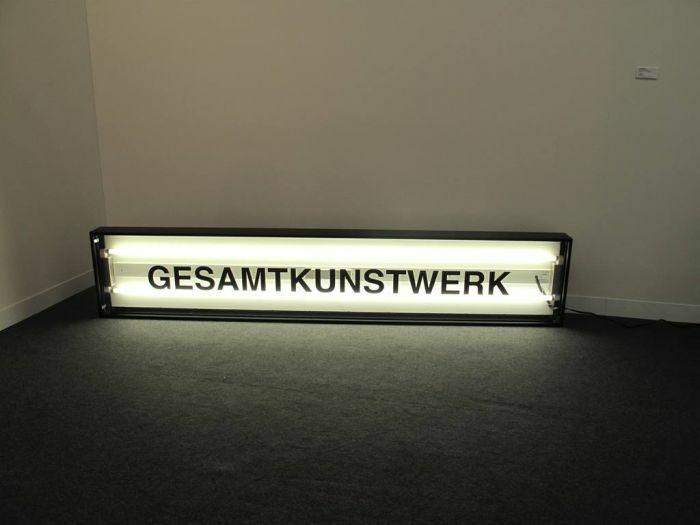 Fanboys of Frankfurt School of critical theory may argue -in a clear romantic stance- that modern means of artistic production and reproduction like photography and video destroyed the aesthetic, cultural, and political authority of art. Contrary to this believe we should accept that the diffusion and popular use of different technological innovations, like machine learning today, helps us explore new domains of creativity. In this way art can help us imagine what Artificial InteIligence can become, and there is no doubt that Computational Aesthetics helps us improve understanding of human aesthetic perception. In 2017 Ahmed Elgammal designed a semiautonomous agent at Rutgers University Art & AI Lab called AICAN. This Artificial InteIligence learned existing painting styles and aesthetics and generated new ones of its own. As the researchers explain although the algorithm created appealing images, it lived in an isolated creative space that lacked social context, in contrast with human artists who are inspired by people, places and politics. we make art to tell stories and make sense of the world so because machines can almost autonomously produce art, it doesn’t mean they will replace artists. Elgammal often like to compare art made by Artificial Intelligence to photography, a field invented in the early 19th century that wasn’t considered art because the popular belief was that a machine was doing much of the work. In the 20th century since Futurism and Dadaism machines and technologies have been interwoven into the artistic imaginary. According to art historian Andreas Broeckmann the notion of the machine is predicated on the idea that there is a technical system outside and opposite the human observer, a conceptual space that becomes indefensible once we accept that the prostheses humans carry (devices, drugs they take, food,language…) , are not opposite to, but part of the technical formations. As Ken Jordan reminds us in his article “Defining Multimedia“, already in 1945 Vannevar Bush’s aim was to create a machine that supported the mind’s process of free association in the act of creation. By 1950 J.C.R. Licklider in his seminal article “Man-Computer Symbiosis” proposed that the computer should act as an extension of the human capabilities for cognition and communication; which included, of course, the manipulation of media. In a sense when we talk of this human-machine hibridation for the creative process, we are defining what 19th century german composer and theatre director Richard Wagner defined as “Gesamtkunstwerk“. This term is about how artists have exploited media to create a more total experience and artwork, a term that helps to describe the multisensory immersion in sight and sound we now associate with the advanced technological forms of digital multimedia or what we now call new-media art (the sophisticated technologies that have become available to artists since the late 1980s that can enable the digital production and distribution). As curator Jasia Reichardt wrote more than 30 years ago, artists have contributed significantly to the current image and meaning of the machine and have and have celebrated machines since they came into existence, first by depicting them and more recently by using them as tools and assistants. The author questioned: “What will happen when machines make their own art? Will we recognise it and will we accept it?”. And the current deployment of Machine Learning algorithms and Artificial Intelligence techniques that we are seeing in the art world today may be seen as the ultimate “Gesamtkunstwerk” or total artwork. Because designing artifacts (AI agents) that are not only products or tools, but collaborators or even artistic creators, should be seen as the ultimate frontier in the creative processes. The production and use of technologies as an extension of the human condition has helped us not only to dominate our natural environment, but to know ourselves better as a biological species. As we can see the emerging field of Neural Aesthetics is a promising field that blends art/design and Artificial Neural Networks in order to use the advances in Deep Learning in the artistic field. Anyway, if we truly want to design machines that exhibit creative outcomes -or at least that function as an enhancement of our own originality- a divergent state of mind will be needed. And many times artistic processes are really helpful specially if we learn to distance ourselves from a romantic and idealized view of creativity, because there is not hidden “magic” in the cognitive processes behind the creation and design of new ideas and objects. Therefore research in Artificial Intelligence is a fertile field to generate new forms of scientific knowledge, as well as for the production of innovative artifacts that serve as an epistemic extension for augmenting human intellect and creativity. *(Picture: pexels.com, The Cat Photographer 1909, piece by artist Alfredo-Jaar, paintings by my AI). PreviousMachines are coming after people with college degrees. NextUnderstanding the nature of the Mind.